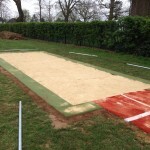 We provide a range of professional high jump services for athletics facilities throughout the UK. Our expert team specialise in the construction of great quality fans and run ups in a variety of surface types to suit each budget and performance standard. Whether you need a facility for competitive international events, or just a simple school practise area, we can help you with all aspects of the project. You can contact our team today to get more information about all of the products we supply. Specifications vary for every project and we’ll do our best to offer a price which is affordable for you. Just let us know what you’re looking to have done and we’ll get back to you with further details. What is a High Jump Surface? A high jump surface is a type of athletics facility which is commonly found at schools and clubs. We are able to install these in a variety of designs and sizes to suit whatever is required. Whether the area is for recreational use or professional competitions, we’ll have the perfect specification. 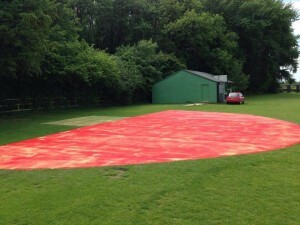 For the construction of the run up surface we will use either polymeric rubber or Multisport synthetic fibre bonded turf surfacing. The EPDM rubber is typically chosen for professional clubs and facilities which are used to an international level as this is approved to IAAF performance qualities. However we recommend the Multisport synthetic turf system for schools and leisure centres which just need a recreational area for practise and local competitions. The artificial needlepunch carpet specification is ideal for use in schools as it gives children a softer surface as well as being very durable and suitable for all weather use. 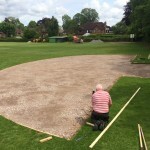 Our skilled team can carry out high jump construction for brand new facilities using the different surfacing specifications. These athletics facilities are popular at many schools and clubs throughout the UK so it’s important that each organisation has the best quality surfacing which meets all the relevant accreditations. We’ll prepare the sub base and install the chosen surface in whatever design and colour you have chosen. If you are looking for these high jump services to install a new facility or renovate an existing one, make sure you fill in our enquiry form for more details. 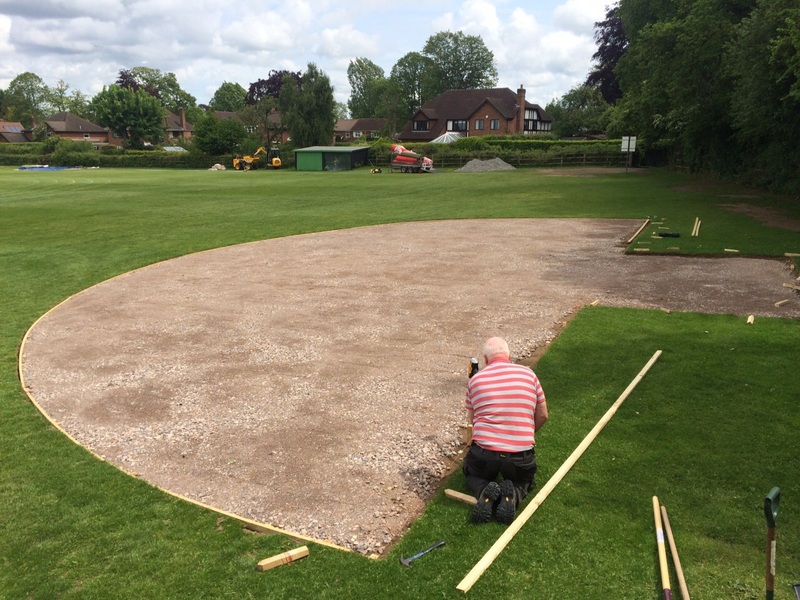 We can offer expert assistance with regards to costs and designs to build a surface at your school, college, university or club! As athletics facility specialists we know how important it is to keep a sports surface clean to ensure it stays safe even with heavy use. Our team can offer professional maintenance services to help clean and repair your athletics surfacing both proactively and reactively. You should put a regular cleaning schedule in place which involves sweeping and general maintenance to remove dirt and debris from your polymeric rubber or Multisport synthetic surfacing. We can offer high jump services to fix any damage caused to the run up or surrounding area to ensure there are no trip hazards and that the facility is safe for use at all times. 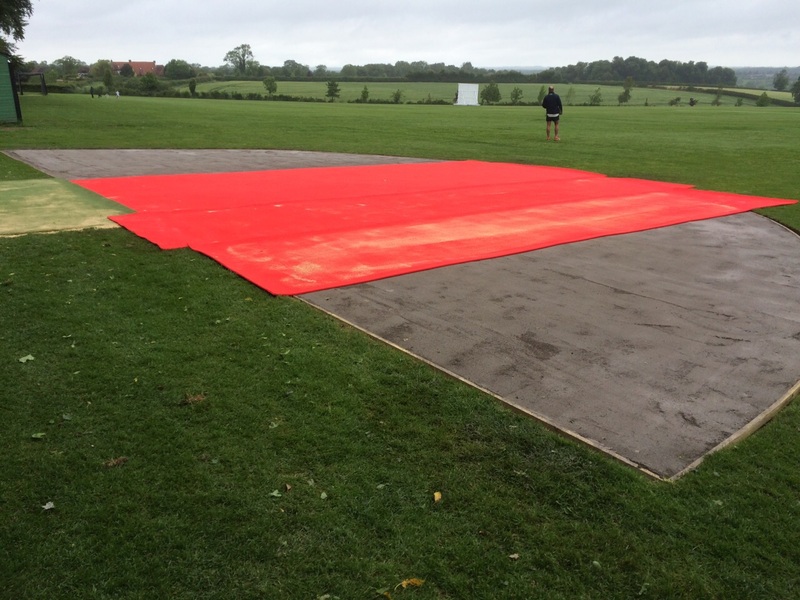 In this video we install a Multisport synthetic surface for a school on Buckinghamshire. 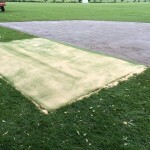 We began the process by excavating the ground and installing edges, next a sub base was installed, and finally the synthetic turf surfacing itself. 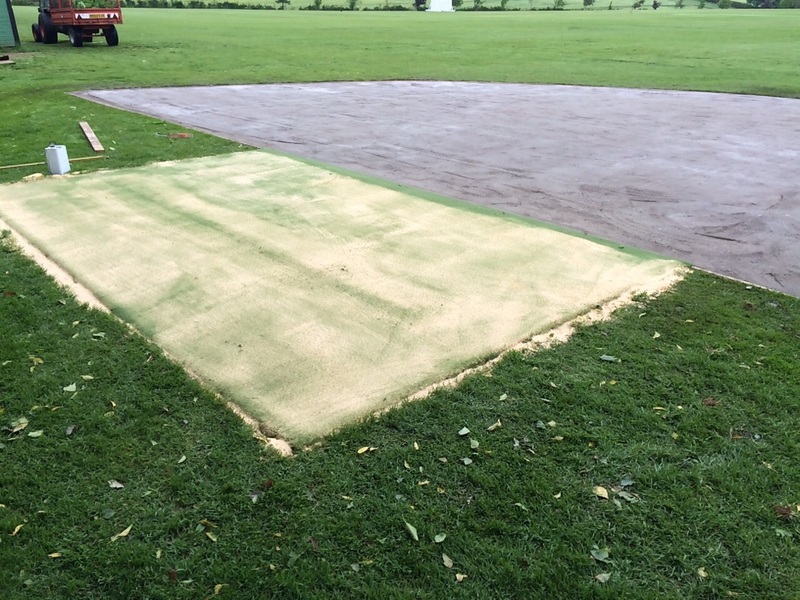 Sand infill was also applied within the artificial carpet to create the best performance standards. We can also provide extra high jump equipment and accessories to help you make the most out of your facility all year round. 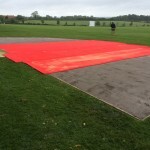 These include foam landing mats to give athletes a safe place to complete their exercise, crossbars in a range of specifications, and measuring stands to take heights in competitions. A variety of athletics standards are available for each of these accessories from junior school level up to IAAF international events. Quite a few athletics clubs and also educational institutions have begun to have more cost effective facilities fitted for sports and athletics. Numerous schools and colleges find it difficult to get athletic features remodeled, meaning that young children miss out on sports chances. The primary reason for this could sometimes be due to limited space outdoors or even a lack of funds available for the school. Compact sports facilities are designed to fit available spaces and budgets, together with supplying useful, inspiring areas at which boys and girls of all ages and abilities may enhance their physical fitness and even self confidence. Also, they are designed to produce the FUNdamental sports movement skills of run, jump and throw. Youngsters will be introduced to various activities, making an effort to raise the quantity of kids participating in compact sports. Primary elements usually include things like sprint tracks, throwing circles as well as long jumping runways. In many cases a single track can be used for multi-use sports with different activities including relay games and bleep tests. For academic institutions with limited space or budget, this can be a perfect replacement for a full-sized running track. A good reason why having a multi athletics space fitted is advantageous for young people is simply because it enables them to take part in various activities and find one that they enjoy, which might lead them to further possibilities in the future. One issue that’s having an effect on young children’s participation in athletics is a shortage of facilities that are directed at beginners as well as beginners level athletes. It’s been suggested that these sports should be made accessible to young people from as little as primary school KS one and up to secondary school. A new sports and athletics model has been created by UKA, permitting kids to gain access to athletics areas. The scheme presents academic institutions with more compact, leisure top quality features which may be designed with a vibrantly coloured, appealing look for young users. For establishments with a low budget and outdoor space, the compact athletics facilities create a fantastic option for training basic FUNdamental skills in a variety of sporting activities. These often include facilities like recreational long jump run ups, small sized high jumping fans and perimeter jogging tracks. When there’s limited space, we can reduce the dimensions and style of specific facilities. The diverse design of compact sports and athletics facilities implies that they are highly relevant to a variety of different cases. Present sport and play provisions in schools, colleges and universities can be made better by putting in the compact athletics facility. By making it easier for children to join in a range of events, many more skills may be learnt and built upon for improved progression in the future. 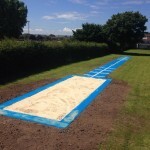 They’ve created a fantastic addition to any present sports facilities which help enhance participation from students. In the event a school or college is looking for an even more cost effective basic level product, the compact facilities are fantastic for decreasing costs should you only need a recreational space. 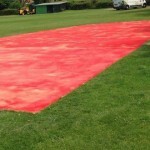 We can provide products in a range of high jump dimensions to suit many different outdoor areas. Compact facilities help introduce the FUNdamentals of athletics and so young people can build on primary skills of movement along with physical activity. The creation of a wide network of compact athletics facilities is a key part of UKA’s ambition to capture the interest and need for the sport. Since the IAAF and IPC World Championships are going to be held in London in 2017, it’s predicted more and more children will start to become involved. When utilising such compact facilities, young people could find a specific activity they enjoy and might enroll in a qualified sporting club – making an effort to improve participation in athletics. We have completed numerous projects across the UK to install and maintain these unique facilities. From working with plenty of schools we have developed a broad knowledge of what is needed to create the perfect sports area. For further advice on each of the specialist high jump services and equipment we provide, don’t hesitate to ask us through the enquiry form on this page. We’ll respond as quickly as we can to answer any questions about costs or product specifications. 1 What is a High Jump Surface?